The Annual Bella Kinks Expo was held on October 21st at the Kay Bailey Hutchison Convention Center in Dallas, Texas from 12:00 to 7:30pm. 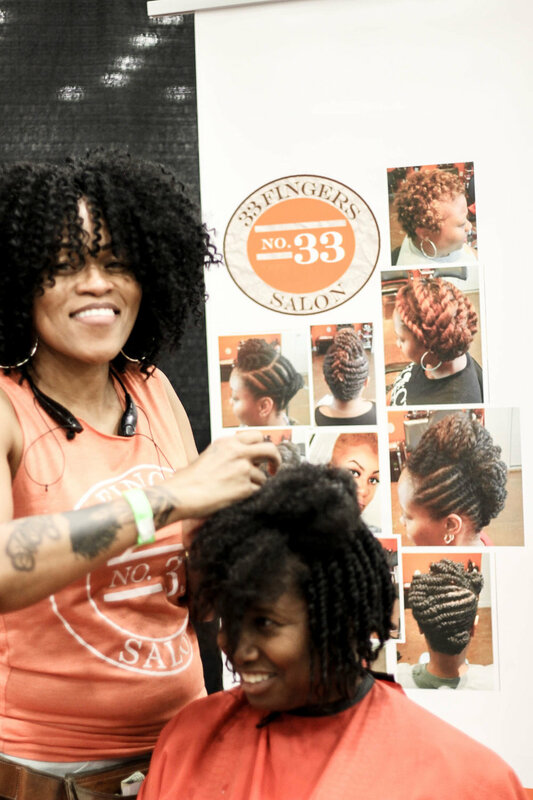 Known as the Premier Hair Show for Naturals in DFW with over 50 vendors ranging from hair care to African fashions and home decor items. Rows of vendors gathered to share their products with eager guests ready to shop and connect with like-minded women in the DFW metroplex. The spacious arena gave room for a massive main stage that could be seen and heard by all. Images by Shunquetta Goins and Desiree B.